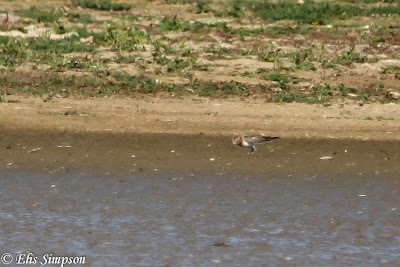 A trip to one of our favourite venues, Titchwell RSPB was to see the Baird's Sandpiper that had been there for a couple of days. It was showing well when we got there, if a little distantly, but with a scope with the magnification wound right up, in the brilliant light that was prevailing at the time, the views were very satisfactory, which is more than could be said of the photographic opportunities. We spent a good two hours watching this and other birds on the freshmarsh, in the vain hope that the bird would venture closer, but sadly it did not. Elis suggested that maybe if a raptor could fly over it may get the bird to move closer. 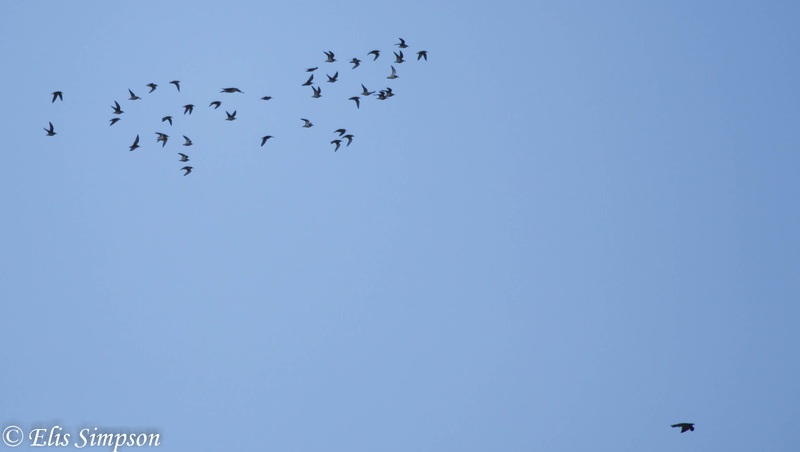 We left the hide for a late lunch and as we were returning Elis got her wish, a Hobby flew over the marsh putting up all the waders. 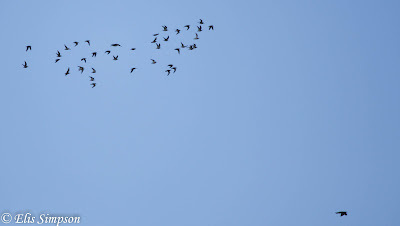 In this photo the Hobby can be seen bottom right with a bunch of Dunlin keeping tabs on it. Blown up the photo shows that the Hobby is eating something on the wing, my guess is that it is a dragonfly, but since the Baird's wasn't seen again that day, nor the following day...? 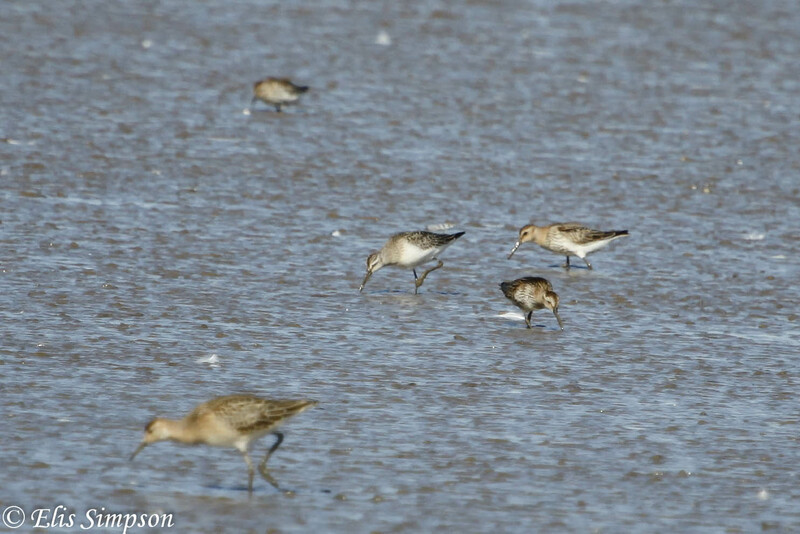 As usual at this great wader spot we got good opportunities to photograph other species. This Black-tailed Godwit sprucing itself up produced some interesting images. makes my neck stiff just looking at them. Ruff are very common at Titchwell in autumn, but they are elegant birds that are always interesting to watch. 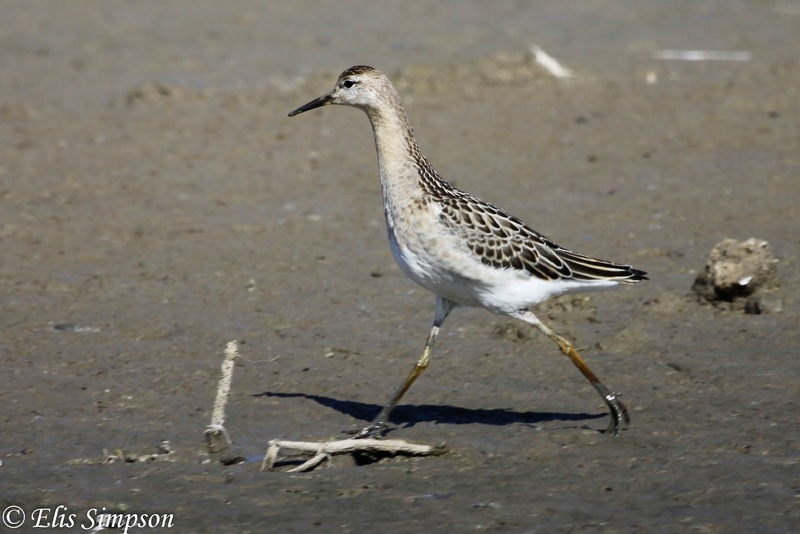 This alert bird strikes an unusual pose as it strides across the mud. Although this juvenile is probably a male. 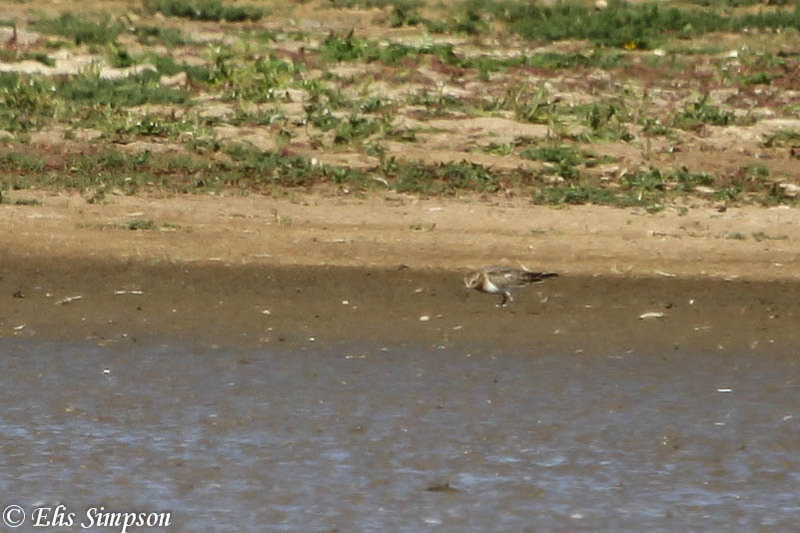 We also saw or first Curlew sandpipers of the year, better late than never! 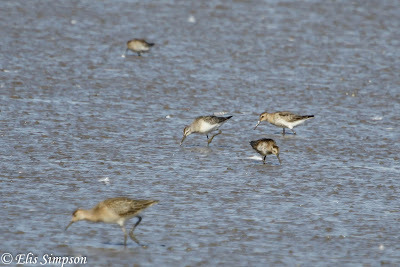 Curlew Sandpiper (centre) with Dunlin and Ruff. Glad you enjoyed "our" Baird's Sandpiper hoping to find more great birds this weekend! Hope we can meet up! Great website keep up the great work. 'Your' Baird's? I had no idea, thanks are due in that case! Thanks also for your comment and support and we look forward to seeing your next big find this weekend!